See what else is overhead at Where’s my backpack?’s challenge Travel Theme: Up. Great shot – love the perspective – very disorientating. I’ll have to go back and see what’s on the other side! Thanks – wouldn’t want to be the one to clean those windows! Not so easy with a monitor! 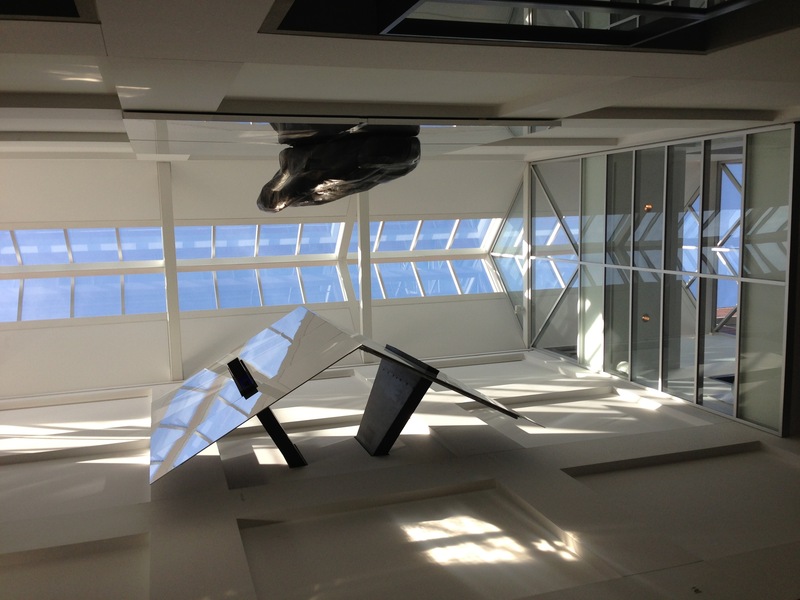 Pretend you’re lying on the floor and look up at the skylights in our local art museum!